When one first encounters Kara Walker’s 2017 collage “Christ’s Entry into Journalism” in the recent exhibit “Studio Visit: Selected Gifts from Agnes Gund” at the Museum of Modern Art, it looks like a large ink blot at the end of the hallway—a roughly bilaterally symmetrical brown blur, as if the work had accidentally been folded in half. A Rorschach test is a fitting form for Walker. The MacArthur “genius grant” winner has long been a subject of controversy for her use of violent and sexual images and racial stereotypes. Depending on the critic, Walker either creates racist cartoons for the sake of entertaining white viewers or exposes with brutal honesty the racial memories and fantasies of Americans. Depending on the critic, Kara Walker either creates racist cartoons for the sake of entertaining white viewers or exposes with brutal honesty the racial memories and fantasies of Americans. As one moves closer to “Christ’s Entry,” vignettes emerge from the monumental 140½ by 196” blot. The line work is quick and inconsistent. The scenes overlap, each separately drawn, painted, cut and pasted on to one large piece of paper. Kara Walker, "Christ's Entry into Journalism, 2017." Sumi ink and collage on paper. 140 x 196 inches, 355.6 x 497.8 cm. © Kara Walker, courtesy of Sikkema Jenkins & Co., New York. The images are a strange juxtaposition of past and present, disturbing fact and disturbing fiction. At the top, a man is lynched between two children playing. Some symmetry is maintained along the fold. On the right side hangs an American flag, on the left side a black man. The superhero Black Panther carries the body of Emmett Till across from what looks like Black Panther Party founder Bobby Seale (particularly how Barkley Hendricks painted him in 1969 in a Superman shirt). At the bottom corners, Frederick Douglass and Martin Luther King Jr. appear indifferent to and apart from the violent scenes, like angels carved onto a frame. Reviewers have struggled to interpret the piece in connection with its title. There is no donkey, no parade, no onlookers crying “Hosanna.”The figures float in air, a tangle of bodies more reminiscent of Michelangelo’s “Last Judgment” than any traditional depiction of Christ’s entry into Jerusalem. Her essay in the exhibition catalog uses Christian martyrdom as a lens to understand the victims of police brutality. 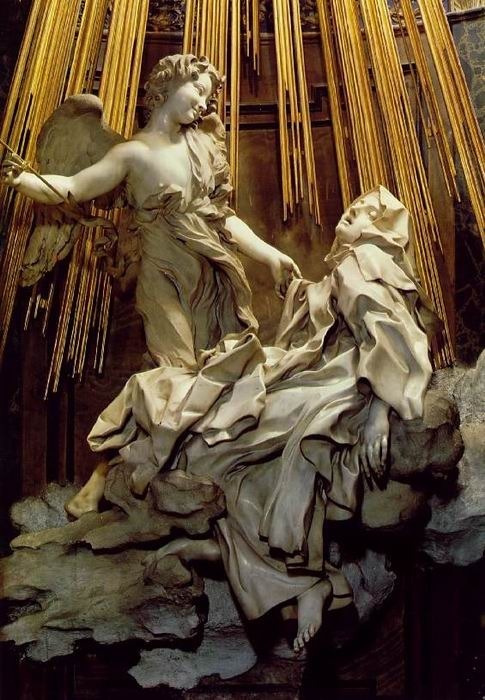 Juxtaposing Diamond Reynolds’s images of Philando Castile with Bernini’s “Ecstasy of Saint Theresa”and the wax effigy of St. Victoria in Santa Maria della Vittoria, she wonders in particular how best to remember these martyrs. “Christ’s Entry” may be her answer. In “The Last Judgment,” Michelangelo’s subjects either float up to eternal rest or are dragged under the earth by demons. Christ, surrounded by the saints, pronounces judgment. Those who ascend the highest cling to the instruments of his martyrdom, the cross and the pole he was flogged on. But in “Christ’s Entry” the innocent and the guilty remain intertwined. Where Christ would be stands a Klansman. The saints do not cling to their crosses; they have not yet been cut down. Perhaps the struggle to discern Christ in the crowd is part of Walker’s design. Will the viewer be able to discern the true Christ from the false? The one being given glory and honor and praise in this mural is no innocent but a member of the KKK. Walker satirizes a world that would welcome a Klansman as a messiah, who would confuse white supremacy for the good news. But there is another Christ figure: the lynched man. Lynchings have been a frequent subject matter for Walker, who said in a 1999 interview with The Los Angeles Times that her experience of being black is charged by the fact that “not too long ago, black people were being lynched.” But here Walker joins the long history of black artists in the United States who have connected, in James Cone’s words, “the cross and the lynching tree.” While the Klan enjoys its triumphant entry, the victims of lynching participate in the long Friday afternoon when Christ hung dead on the cross. It remains to be seen whether God will vindicate the lynched. Just as Jerusalem is the site of Christ’s betrayal and execution, so Kara Walker presents us with journalism as the site where lynched bodies are put on trial in the United States. Indeed, here—the reality of lynchings—seems to be Christ’s entry not into Jerusalem but into journalism: Just as Jerusalem is the site of Christ’s betrayal and execution, so Walker presents us with journalism as the site where lynched bodies are put on trial in the United States. Will we fail to investigate the white supremacists in our midst while we scrutinize the lives of murdered black men? Did he have a record? Did he obey all orders? In drawing a visual connection between the cross, the lynching tree and the Last Judgment, Walker testifies that how we treat the crucified among us is the standard by which we will be judged. Two modern presidents opposed and essentially blocked anti lynching laws in the 1900’s. Franklin Roosevelt and Harry Truman at first. Thanks, Erin, for this excellent article. I am a journalist who exposed the lynching of a minister, a woman, a cousin, and a fourth person by my white ancestors. "The Family Tree: A Lynching in Georgia, A Legacy of Secrets and My Search for the Truth," was published the year before this magnificent work of art by Kara Walker, who is a genius. Another genius, Dr. James Cone, read my book and wrote, "You have told a story that every American needs to read about. I just wish more people in the white community would tell their 'secrets' and search for the truth in their family history." As a direct result of the recent opening of the Peace and Justice Memorial in Montgomery more journalists are researching and writing the stories of lynchings though still not exposing the stories of the mob members and the white communities that sheltered them. Thanks Karen, and thanks for the research that you do!